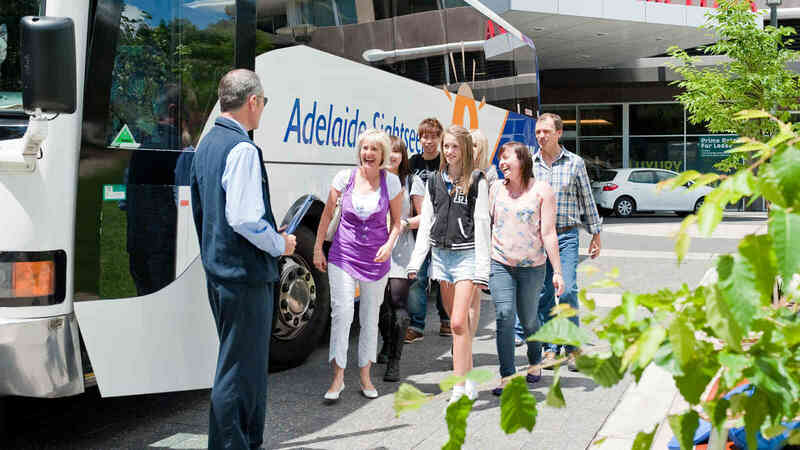 After you go on our Adelaide City Highlights Tour, you'll be dropped off at the Adelaide Oval. Your trained RoofClimb Leader will guide you across the highest points of the Oval’s unique roofline during the day or twilight hours. 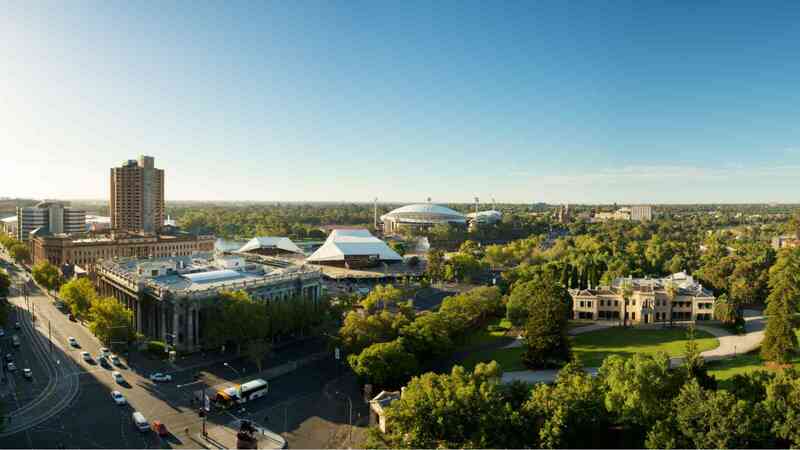 Travelling from the Western Stand to the Riverbank Stand on a purpose-built path, RoofClimb Adelaide Oval will offer breathtaking views and a unique perspective of the city of Adelaide and its surrounds. Daytime climb prices receive a $10 discount from above pricing. Please check in at least 15 minutes prior to Climb Time. Times available may vary each day. RoofClimb Adelaide Oval do not operate on Public Holidays and Event Days. Please note, you can request to book the RoofClimb Adelaide Oval on its own. For further information, please see the FAQs. Please read the RoofClimb Safety details and RoofClimb Terms and Conditions prior to your Tour. Online prices only available when booking online and are valid 1st April 2019 to 31st March 2020. Normal prices valid for travel from 1st April 2019 to 31st March 2020. Bookings are subject to availability at time of booking. A child is between 8 and 15 years of age.